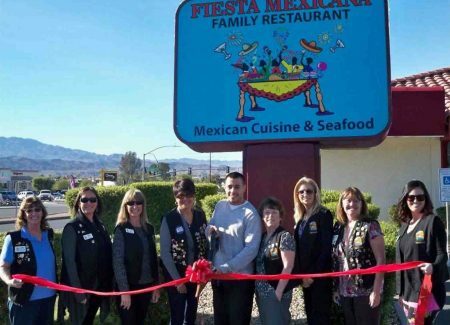 You might be wondering what a “chain” like Fiesta Mexicana is doing in a place like Farmington, N.M. Easy answer. The best Mexican food belongs in the best places that truly appreciate real, authentic Mexican food. That makes Farmington, NM an excellent choice for the best Mexican restaurant in the 4 Corners area. People in Farmington and those who visit tend to be outsiders. We don’t mean strangers from elsewhere, we mean out-of-doors, nature type outsiders. It might surprise you to know we have over 70 parks in our city, and a world ranked golf course. Seriously. Now we are not sure about you, but if it were us and it was dry and warm, a mighty cold brew would sound awfully good with some tacos, enchiladas, or a quesadilla after a round of missing, er, we mean chasing, balls. Come by and check out our full service bar and the great selection of appetizers we offer – lots more than the 19th Hole. The food is awesome, the service is fast and friendly. There is something for every member of your foursome, even the caddie. Especially the caddie. After all, they did all the hard work. It’s hot. Buy them a beer. It’s cold. They will appreciate it. Farmington NM has a lot of unique things around it and events it celebrates. High school baseball is one. The Connie Mack World Series has been played in Farmington since 1965. The best of the best 16-18 year olds world wide come to square off as enthusiastic crowds and scouts alike watch in awe as the best of the best play America’s pastime. We serve a lot of tacos during that season. Hiking, biking, and fishing are all popular in the Farmington region, since we have so many foothills and much rugged terrain. Two popular sports are white water and geocaching. With three rivers in the area, and two converging in town, one is only a paddle length away from a spot to launch. Geocaching or a GPS treasure hunt for clues has become enormously popular with families. Cachers of all ages can participate, use logic and smarts to figure out locations, and go on to the next hidden clue or treasure. Information about all the local activities can be found at our local Chamber of Commerce. 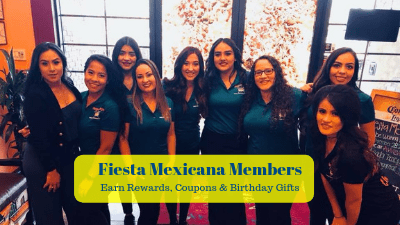 Come to Fiesta Mexicana to share your finds and we will help you celebrate. Another big thing in our area is rock crawling. Not to be confused with what might happen if you drink too many of our massive margaritas, rock crawling involves modified vehicles (mostly trucks) that try to traverse terrain the Mars Rover could not handle. Hot Rod shows are another big hit, and rumor has it that some pretty hot celebrities and bands have been known to come out for our Rod show. What better way to take a break from the festivities and stop by for lunch? We have lunch specials nearly every day, and late lunch runs into Happy Hour, which goes 2-7. That gives you an hour to eat a leisurely late lunch and get your engines revved by an icy cold cerveza before you head back out into the fun New Mexico sun. Please rev responsibly. Of all the things to do, we are probably most proud of the Totah Festival. This long running pow-wow and First Nations annual gathering features dance, song, vendors, and all things traditional to the 4 Corners region. Among the highlights is one of the only annual Navajo rug auctions in the southwest. Since much of our Mexican heritage touches native peoples, we are especially happy to share specials with our visiting amigos that weekend. Check Facebook for current offerings, or call us. We will be happy to tell you what we have planned. Being from Jalisco, Mexico means we have a lot of seafood and other items on our menu you might not see a lot in the desert, like Pescado Frito and real horchata. It also means our food is not wicked hot. Ask for more spiciness if you prefer after you taste. 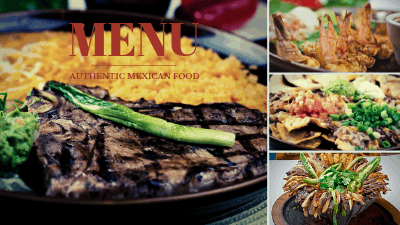 True Mexican cuisine is like our décor – festive, flavorful, bright, cheery, tasteful, meaningful. Savor the real tastes of authentic Mexican food in our colorful location filled with carved and painted furniture and bright colors. We encourage you to bring your family. Our kid’s menu has something for all the little compadres and they often ask a lot of questions about the scenes depicting daily life in old Mexico. 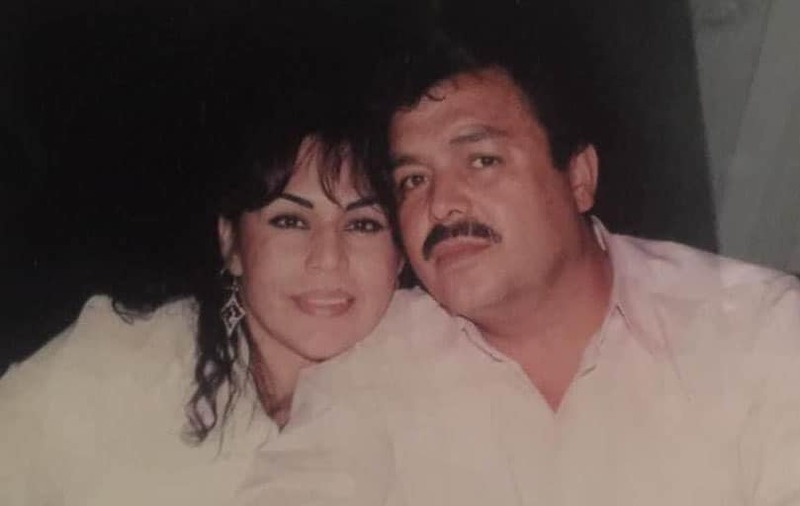 Since so many of our local amigos share some of our heritage, we proudly view those questions as a way of learning about our local diverse population. That is always a good thing. We always get along a whole lot better when we do. Farmington is also close to a number of national parks and monuments. Chaco Canyon, Natural Bridges, and Aztec Ruins NM are all close by, just to name a few. New Mexico is home to no less than 19 federal parks, monuments, and historical sites. We have some of the oldest and best preserved pueblos and cliff dwellings in the nation. 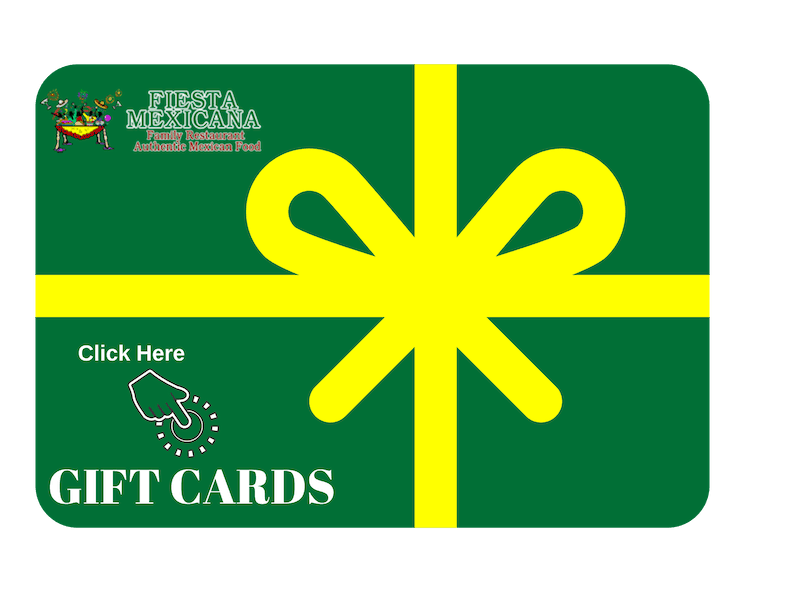 Many of the parks have limited facilities, so stop by Fiesta Mexicana on your way out of town to pick up lunch. You can check our extensive menu online and call it in, and we will have it ready with all the extras you need for a tasty and filling pick up. Just remember to bring your litter back with you. We don’t want them wondering what kind of a rare tool a spork was 1,000 years from now. This area of New Mexico supports more life than most realize, and it is not all gila monsters and horned toads. New Mexico produces a considerable amount of hay, pecans, and other agricultural crops. A diverse number of crops are grown in our temperate climate, even wine grapes, and tours are available at several local wineries in the immediate area. Stop by for a filling meal of authentic Mexican fare upon your return. Being located across from a historic river has its advantages. Our views are epic and we have even been called a great romantic getaway by our local amigos. Sometimes we have live music on Friday and Saturday nights. We will find you and your squeeze a cozy corner and check on you only when you need a new drink or more salsa. After all, date nights are special. And you don’t need us bothering you. We are located directly on East Main (NM 516) and just off Hwy. 64 in the heart of Farmington, directly across from the Animos River. If you are in the 4 Corners area you might run into one of our sister restaurants. We have 10 all total, each a little different but a whole lot real Mexico. At all our locations, let us know if you are a senior and we have special reduced pricing and smaller sized portions to your liking. Farmington NM is the regional hub, and being so means we provide services to the entire area. Do you have a special event coming up, wedding, reunion, anniversary, celebration? A business meeting or conference? We can meet your meal and finger food needs. 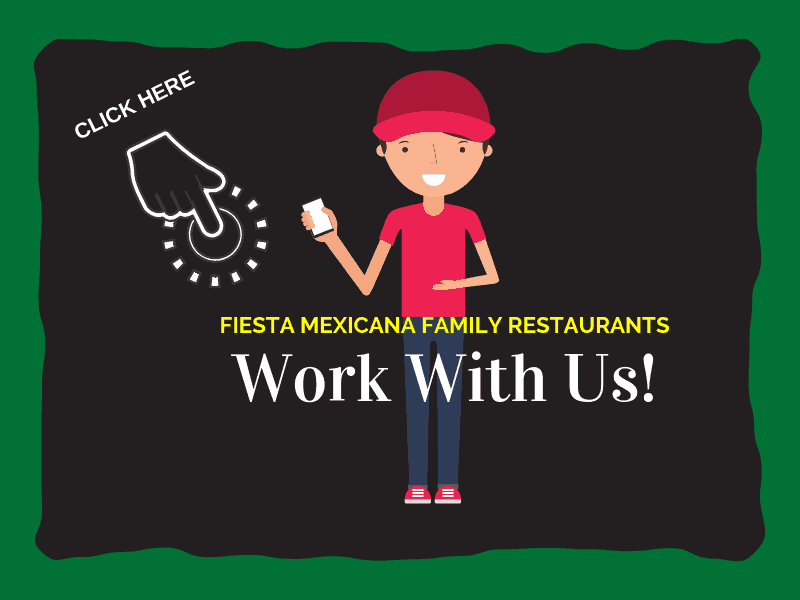 Call our manager or fill out our contact form online for catering in Farmington and the surrounding area. We need an idea of the number of people and date(s) with approximate times. Our menu is extensive, and we can tailor spices to your needs as well. Then, quit worrying and let us do the rest. We can either deliver to your location with all the extras, or set up at our restaurant in Farmington. We usually do not require reservations, but do need notice for this type of event so we can make sure everything is ready and perfectly presented on your group’s arrival. 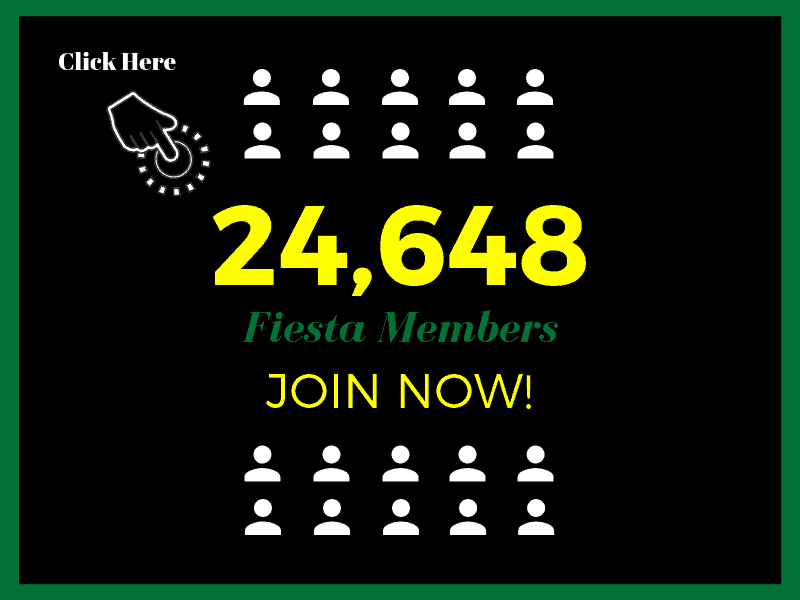 Since we are kind of a small town, Fiesta Mexicana is a big deal to the locals. Sometimes we stay open way late, like 2 am, bring in a band or dj, have crazy drink specials and discounts for different groups like students, gym members, (who knows what our manager will dream up next?) or we just throw a fiesta. There is always a reason to come enjoy a margarita or cerveza among friends and party a little bit. Just please, go home responsibly. We want you to come back in one piece. A lot of people in Farmington consider Fiesta Mexicana their watering hole. We are known for our knock your socks off margaritas. Had a Purple Cadillac? We didn’t think so. Our fully stocked bar is full service and has a great selection. We pride ourselves on how many excellent brands of tequila we carry. And if you want some good Mexican beer on tap, come see us. Many people in Farmington come from different regions in Mexico and Central and South America. That is why on any given night you might hear mariachi, cumbia, or Latino salsa among our musical selections. We celebrate all of our heritages and the impact they have had on the Farmington area. In an area this old, everyone knows where good times and good food are. We are no different. 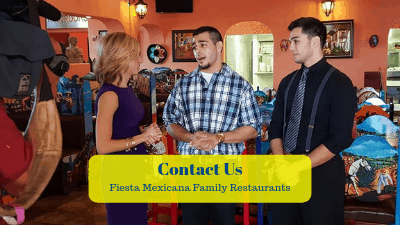 Fiesta Mexicana has the best Mexican food in Farmington and is one of the best restaurants in Farmington. It does not matter if you are a local or a visitor. Our happy, polite, attentive staff treat all our amigos the same – great. So forget the tourist traps. Come where the locals hang out. They know what is good. You will be mighty glad you did.